Regular eye exams are one of the most important things you can do for your vision. Most patients with known eye problems, with prescription eyewear, or who are over the age of 60 should visit an optometrist on an annual basis. Patients over the age of 40 should have an examination every 18 to 24 months, even if they are not currently experiencing eye problems. If you have not had an examination within the recommended time frame for your age and eye health, call Dr. Anthony Rabbani, expert in eye exam in Los Angeles. During your eye exam, Dr. Rabbani Los Angeles eye exam doctor, will perform a number of tests. He will check your vision to ensure that you do not need corrective lenses or to determine if your existing prescription has changed. In addition, he will check for signs of eye health problems, such as testing you for glaucoma. The symptoms of many eye health problems are often subtle or slow to develop, and the sooner Dr. Rabbani can identify a problem, the more successful the treatment may be. Dr. Rabbani became an expert in eye exam in Los Angeles through rigorous training and extensive hands-on experience. He earned his Doctorate from the New England College of Optometry in Boston, Massachusetts. After he graduated, he continued his training by studying at the well-regarded Omni Eye Services, a leading center for the diagnosis and treatment of eye diseases. 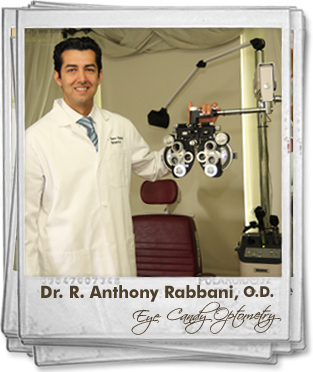 To schedule an appointment with Dr. Rabbani, Los Angeles eye exam expert, call Eye Candy Optometry and Eyewear. Dr. Rabbani will be lad to perform your routine eye exam, or to perform an examination for contact lenses or an emergency eye exam if your believe that you have an eye problem or injury. 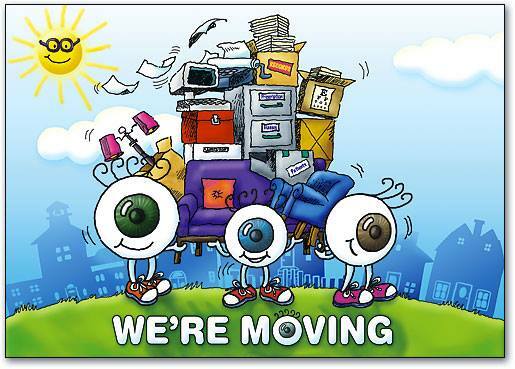 Dr. Rabbani and his staff look forward to getting to know you and to serving all of your eye care needs.